Gandhinagar: The judgment in a key case related to the 2002 Gujarat communal riots may take some time due to the transfer of an Anand district judge a few days before she was to pronounce the verdict last month, a lawyer said Monday. The judge has put in her papers. Anand Principal District Judge S.Y. 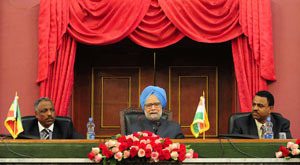 Trivedi, who was to pronounce her judgment April 28, was shifted a few days before the verdict day. She resigned in the first week of this month but the matter remained under wraps till recently. She resigned citing personal reasons after she was transferred to Jamnagar as additional sessions judge. Billed as one of the nine most significant trials related to the riots, the case relates to the killing of 23 Muslims in Ode village in the district March 1, 2002. Judge Trivedi had heard one of the two cases related to the massacre in the village. According to Special Public Prosecutor P.N. Parmer, the judge had made it known that she would give the judgment April 28 but the matter has now got delayed. Highly-placed sources in the high court administration said in Ahmedabad that no decision had yet been taken on her resignation. After Judge Trivedi's transfer, the trial was assigned to Anand Principal District Judge S.N. Vakil.